The Super Bowl is just a few weeks away. 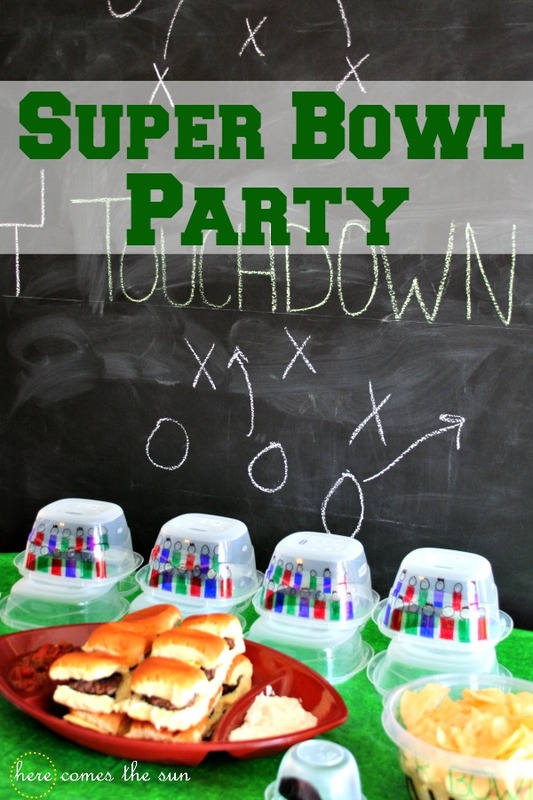 Are you throwing a Super Bowl Party? I love decorating for and hosting parties. One of my favorite parts is planning the food table. When planning a food table, I like to use different heights to create interest. 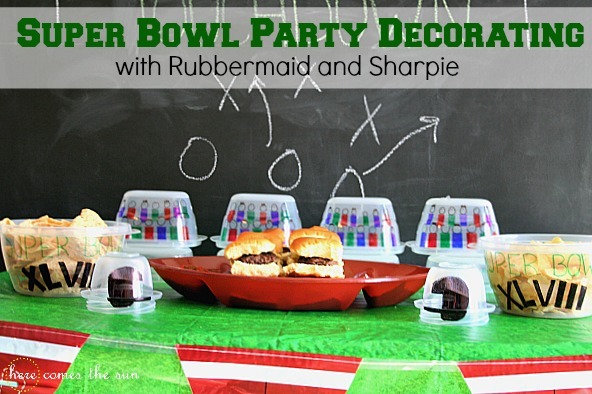 So when I saw these Rubbermaid food storage containers at Target, I knew they would work perfectly with the idea I had for my Super Bowl Party food table idea. I also picked up some Sharpie markers to help me create my vision. 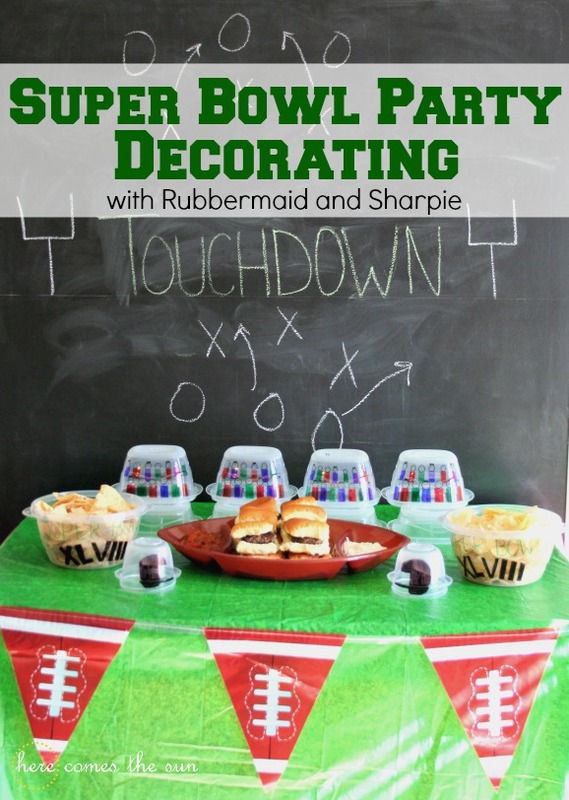 I used the Rubbermaid containers to turn the table into a football field and used Sharpie markers to decorate. I think my favorite part are the bleachers that I made overlooking the food. 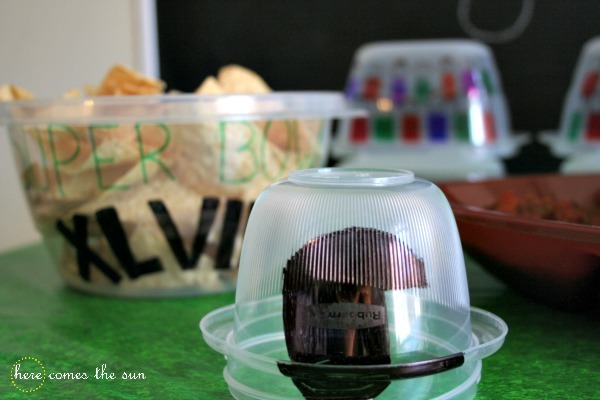 I added a few Rubbermaid bowls decorated with Super Bowl images. My table was a hit! 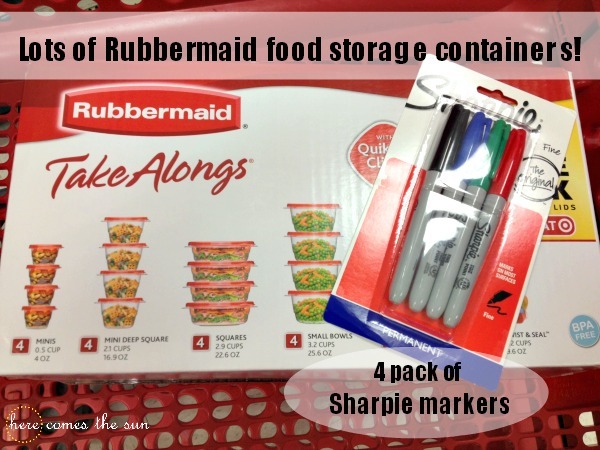 To help you create and decorate your own Super Bowl party, Target is offering coupons for $1.00 off any Rubbermaid food storage container package and $1.00 off any Sharpie pack of four or more. The coupons are available from January 25-February 8. To get them, text the word COUPONS to TARGET. 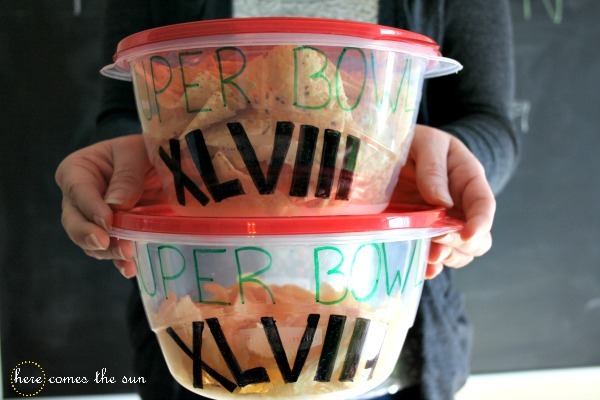 And when your celebration is over, you can easily send the leftovers home with the fans! Will you be cheering for the Seahawks or the Broncos? The bleacher people are a cute idea! Those bleachers are darling, love them! The stadium people are HILARIOUS! I love them! Make sure they don’t eat all the food before I come back for seconds! The stadium people are my favorite part! Thanks for stopping by! You are too sweet, Sky! Thanks so much. 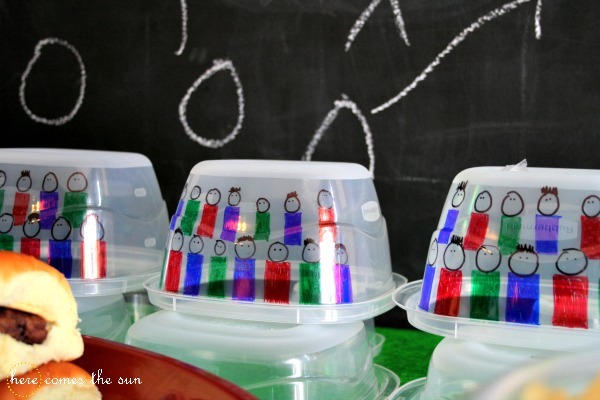 Love what you did to the containers! 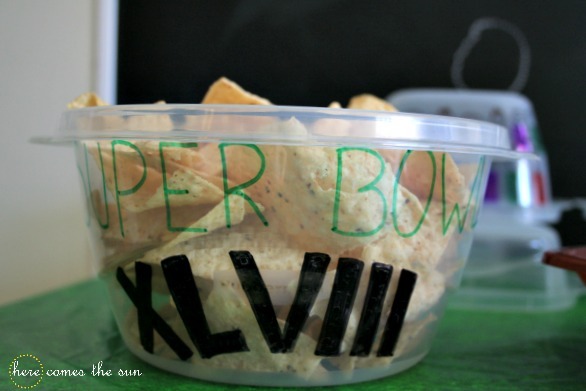 So creative and perfect for the big game!